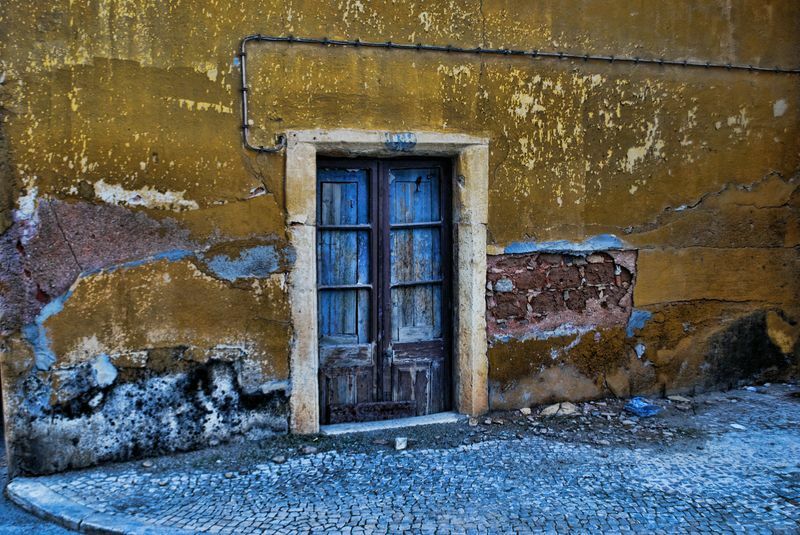 All cities, towns and villages in the world, no matter how modern or old they may be, have areas or specific spots with crumbling houses, old doors, decaying walls or dilapidated windows. This is normal and of course the City of Tomar in Portugal is no exception. In fact there is some kind of artistic feeling in crumbling structures, like good abstract paintings or sculptures, and that’s why I decided to include here some photos related to this topic. 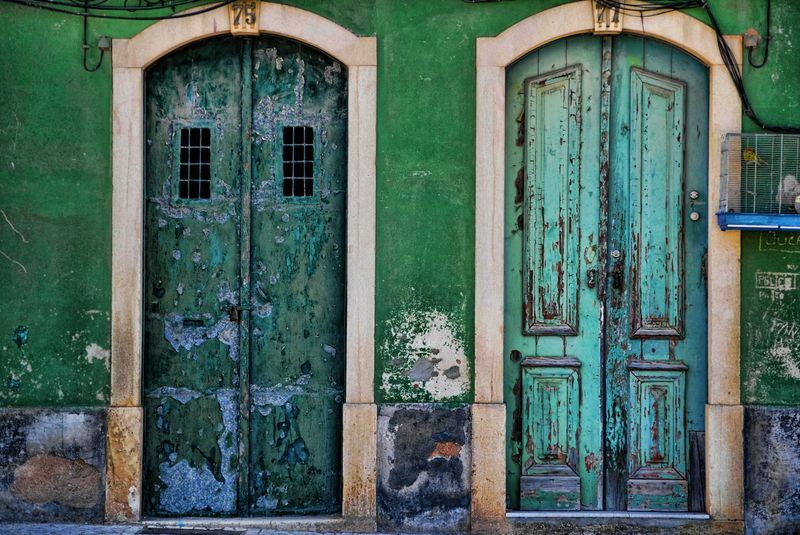 The photos of these walls, windows and doors below, are located at the streets Travessa da Cascalheira and Rua Voluntários da República in Tomar, around a pastry shop called Pastelaria da Avózinha (Grand Mum Pastry Shop). 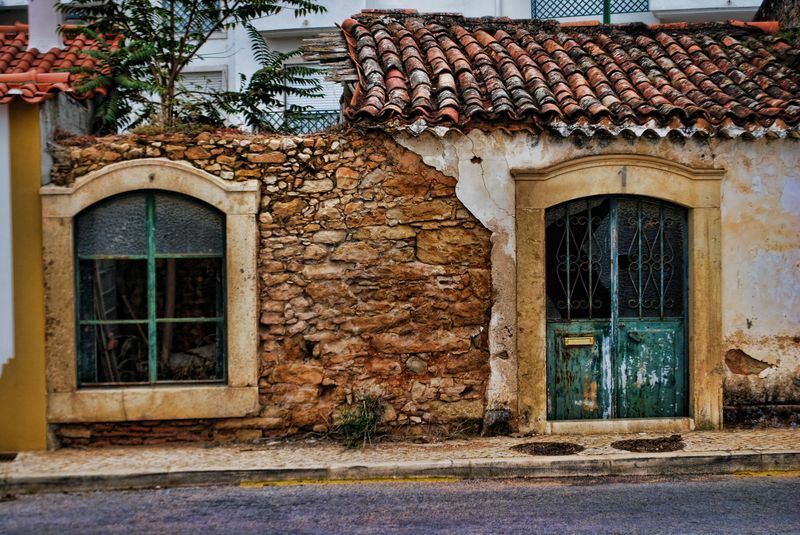 This kind of artistic old, crumbling window and wall is located at Rua Voluntários da República in the City of Tomar, near the pastry shop "Pastelaria da Avózinha"